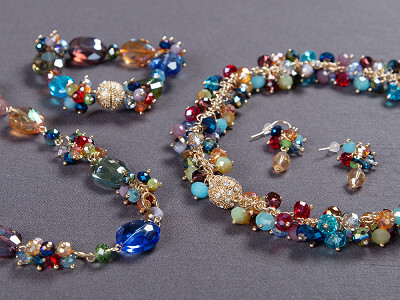 When she first got the idea to create interchangeable jewelry sets that included magnetic bracelets and necklaces, Jill White was already a busy lady. She was juggling both a teaching career and her own business, plus raising a family. A stressful attempt at packing for everyone before a trip—while trying to coordinate her own accessories and outfits—resulted in an a-ha moment. Jill made Jewels To Jet for women like her, who don’t want to spend too much time pulling looks together. Her jewelry sets come ready to grab and go, with magnetic closures that make getting ready even easier. The closures also let you mix things up, too—like adding a bracelet to a necklace or doubling up on necklaces—to customize a completely new look. Since Jill designed every piece in a set to complement each other, it all works together. From classic metallic tones to brightly colored beads, the combination possibilities are endless, and your time is saved. Hello, Grommet enthusiasts! I'm Jill White, Founder and CEO of Jewels to Jet. With MagnaClasp on each necklace and bracelet in our jewelry line, you can fasten our jewelry with just one CLICK! No pinching your fingers or struggling with clasps anymore! The interchangeability of our jewelry sets is endless. Save tons of time and make your own style too! I'm proud to introduce Jewels to Jet to The Grommet. I'd be happy to answer any questions you may have! These are really attractive. Unfotunately I want three of them - The Monet, Kingston, and Bali. Those three would be the only extra jewelry I would need! Where to start!!! @Virginia That is a wonderful dilemma Virginia! We're so glad you love all 3 sets. The amazing advantages of buying all 3 sets would be that you would have endless modular jewelry combinations and would never run out of new looks.Mixing the gold Kingston set with the Monet set looks fabulous. I'd start with at least those 2 sets. These are gorgeous sets of jewelry and very affordable! I'm going to order all of them and share with my daughter. Does the Kingston set come in silver? I want to mix a match with the Madiera set. @Kim Yes indeed! The Kingston set does come in silver! If you click on the gold Kingston set, you will see a picture of the silver set too. It's absolutely perfect to mix and match Kingston silver with the Madeira set. It's so versatile. 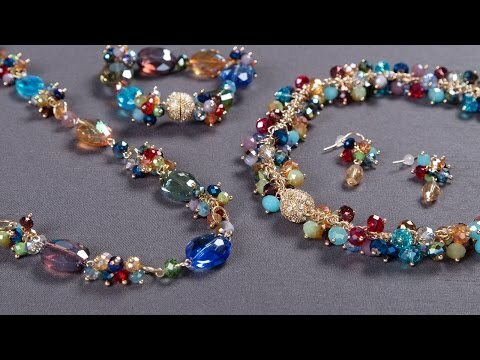 When she first got the idea to create interchangeable jewelry sets that included magnetic bracelets and necklaces, Jill White was already a busy lady. She was juggling both a teaching career and her own business, plus raising a family. A stressful attempt at packing for everyone before a trip—while trying to coordinate her own accessories and outfits—resulted in an a-ha moment. Jill made Jewels To Jet for women like her, who don’t want to spend too much time pulling looks together. Her jewelry sets come ready to grab and go, with magnetic closures that make getting ready even easier. 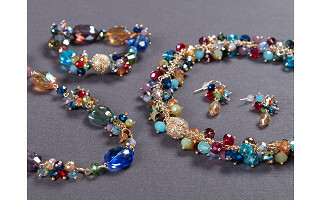 The closures also let you mix things up, too—like adding a bracelet to a necklace or doubling up on necklaces—to customize a completely new look.